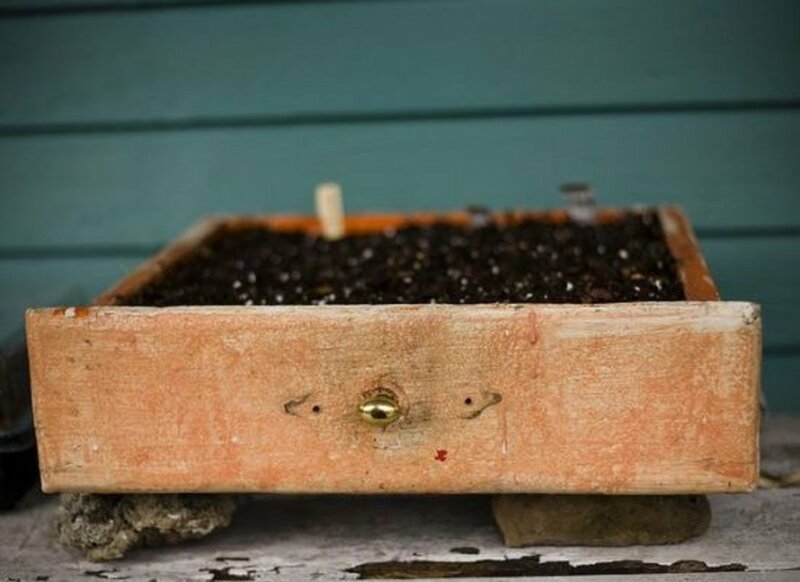 Classic box-shaped dresser drawers--reclaimed from a dresser on the curb bound for the dump or your own worn out dresser--work perfectly as planters. As a repurposing junkie, I adore the idea of reusing well-loved (i.e. worn out) furniture for new purposes in the garden. Alongside the usual terracotta and clay containers used to hold plants, repurposed old dresser drawers can add diversity to a deck or backyard. 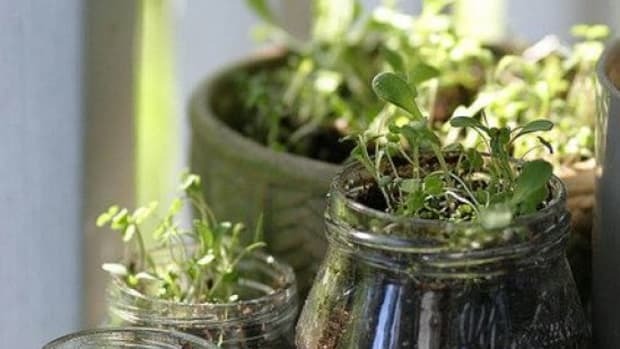 Picture them filled with soil and brimming with your favorite flowers or homegrown vegetables. Before you get planting, check out these tips to make your dresser drawer container garden a success. 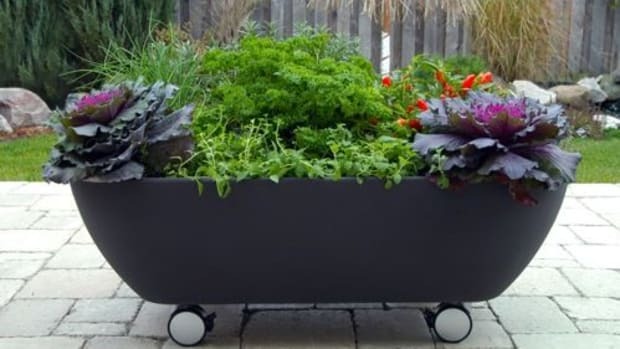 I know you’re more than ready to get growing, but making a plan for your container garden can save you unnecessary stress. (If only this worked in all parts of our lives.) 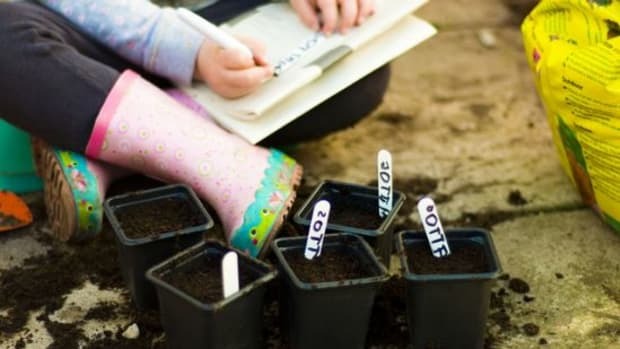 Although much of gardening requires learning through trial and error, making a plan is a good start. Consider what to plant. 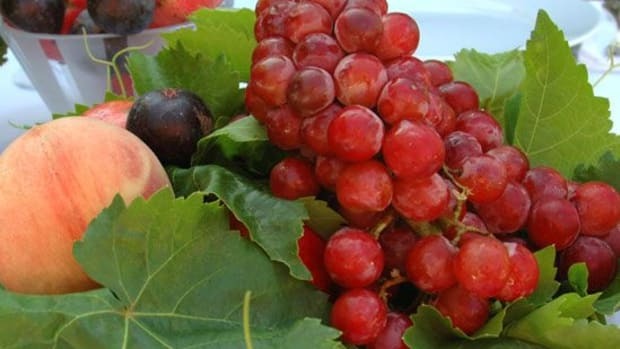 Fruits and veggies that grow well in shallow containers include herbs, lettuce, onions, cucumbers, carrots, radishes and strawberries. Don&apos;t forget to add flowers to your container garden. Flowers that grow well in containers include weigela, begonias and black and gold cannas. Check your local nursery for more ideas for plants that grow well in shallow containers and in your climate. Solid wood drawers, not newer lower quality versions made from particleboard, will hold up well to weather and wear. 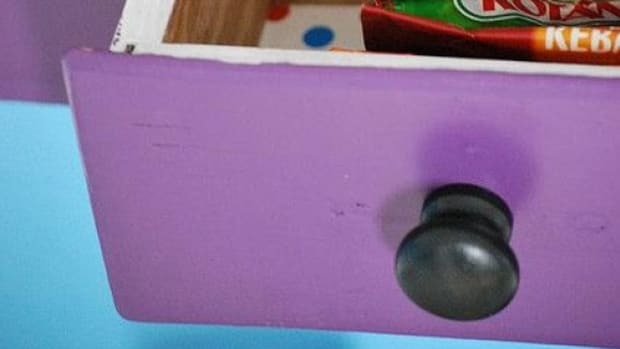 If the drawers you have seem a bit feeble, reinforce them with a drill and screws. Yes, a drill. I promise you can operate it, or you could always ask your hubbie or a power tool savvy friend to do it for you. Before you start planting, make sure the wood is untreated. You don’t want chemicals leaching into your soil and plant roots. If the drawer has been painted or stained, use some sort of liner to cover the bottom and sides of the drawer before planting. I say leave the knobs or pulls on the drawers to add fun ornamentation to your garden. 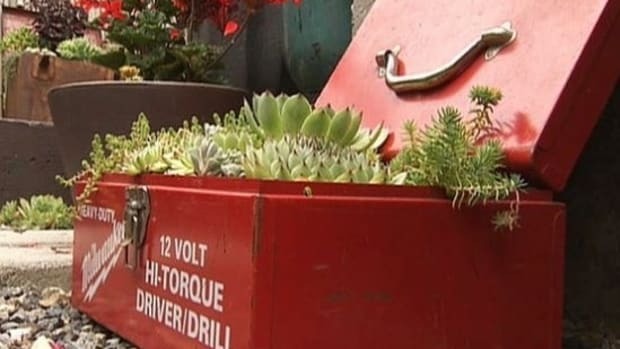 Get your rocking container garden going! As you go along, consider a few necessities. Drainage. Drill some holes in the bottom of the drawer for drainage; otherwise the plant roots will rot. And how sad would that be? Potting soil. Fill your dresser drawers with an organic potting soil. 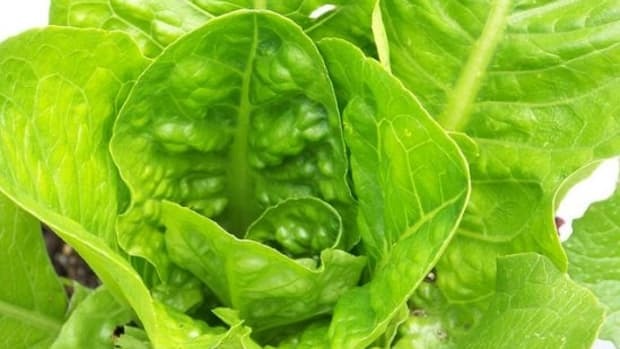 You could also blend it with some of the soil from your compost pile for a mix that your plants will eat up. Spacing. When you go to plant your seeds or starts, look at the directions. The spacing directions on seed packets may be meant for gardens with a larger area. Check with your local nursery for more information. As your garden develops, it doesn’t matter if the drawers start to look worn. The shabbiness will only add character to your garden. 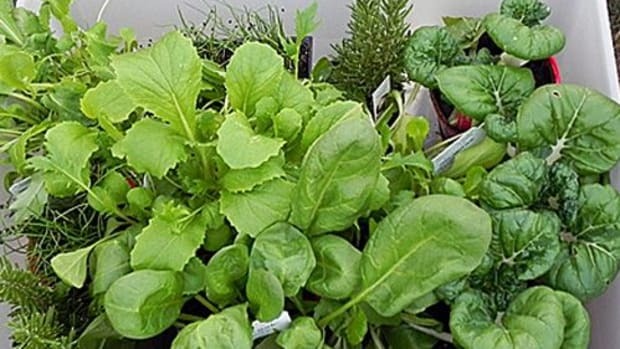 Water your miniature garden daily and soon your plants will begin to sprout. If you love these ideas, but don’t have a green thumb, keep a pretty dresser drawer inside the house to hold potted plants. Make sure to place the box near a sunny window. Happy gardening!